What is the Septuagint? Why is it important that we know? 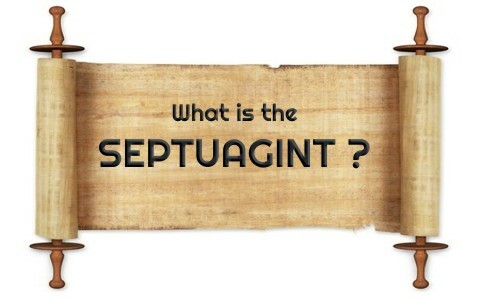 Basically, the Septuagint is the Greek version of the Old Testament with the word “Septuagint” coming from the Latin septuaginta (interpretes), meaning “seventy” or “seventy interpreters,” and is a translation of the Hebrew into the Latin language or Latin Vulgate. This translation was completed around 70 to 72 B.C. by 70 or 72 Jewish scholars (and in Middle English, the “Seuenty turneres”) and was allegedly completed in 70 or 72 days, however the translation is now believed to have been carried out at different times by an undetermined number of Egyptian Jews, but the preciseness of this translation is extremely accurate, so just because Jews who were in Egypt translated it doesn’t mean it wasn’t translated into the Latin accurately, because we know it was. The late Dr. J. Vernon McGee (of Through the Bible) said that Hebrew was the language of religion, Greek was the language of culture, philosophy, and learning, while the Latin language was a language of law and power, so this explains why the Old Testament was translated into a language that most people could read and understand. Maybe you’ve read or heard about the LXX, so what is the LXX? Is this an abbreviation for the Septuagint? The LXX is thought to be an ancient document called “The Letter of Aristeas,” and so a plan was revealed to make an official translation of the Hebrew Bible (the Old Testament) into the Greek so that the Greeks could read about the ancient Israelite but so could the Hellenized Jews. This translation was to be accepted as the official Bible of the Jews and was to replace the Hebrew Bible, so the LXX is just another name for the Septuagint since LXX stands for 70 in Roman numerals, and refers to the 70 Jewish scholars who translated the Hebrew of the Old Testament into Latin, so when you see LXX, it is simply an abbreviation of the Septuagint. It wasn’t until AD 354–430 that the Greek translation of the Jewish scriptures came to be called by the Latin term Septuaginta. Since the Septuagint had been around for a few hundred years in the time of the apostles, it is not surprising that the Apostles might have used it in making citations from the Old Testament, and it’s no coincidence that we find new fragments or pieces of papyrus that contain Scripture every few years or so because God had determined that His Word will abide forever, and even though many have attempted to stamp out the Bible and wipe it off from the face of the earth, in God’s providence, He ensured that we would have copies of the Old Testament preserved until our day, and if not for the Septuagint, perhaps much of the Old Testament might have been lost. One example is the find of Qumran 4 which contained fragments of Leviticus and agrees with the standard LXX (Latin) with only slight differences. For example, the Chester Beatty Papyri were found at Oxyrynchus, Egypt and contained portions of Numbers and Deuteronomy and were almost identical to Rylans Papyrus and finds from Qumran which contained fragments of Numbers and Leviticus, but Papyri 99, dated from the end of the 3rd century, was written in cursive and had fragments from the Book of Genesis, and again, they agreed almost perfectly with what was written in the original Hebrew and the differences are so minor as to not disturb the essential doctrines of faith, for example, when Abraham believed God, it was accounted to him as righteousness (Gen 15:6). There are so many significant finds today that we have a more complete picture of the Old and New Testament than ever before. We are finding fragments that match those writings that we have already discovered. They are in agreement with one another and the differences are believed to be less than 1% so we can see that what we have today in the Bible is the unadulterated, very God-breathed Word from God’s own mouth. That’s why the Apostle Paul could write, “All Scripture is breathed out by God and profitable for teaching, for reproof, for correction, and for training in righteousness” (2nd Tim 3:16). The Apostle Peter adds, “…that no prophecy of the scripture is of any private interpretation. For the prophecy came not in old time by the will of man: but holy men of God spake as they were moved by the Holy Ghost.” (2nd Pet 1:20-21 KJV). Interestingly, God used men to record and preserve His Word, even though they had never trusted in Christ. God can do anything He wills to preserve the Word of God, so it’s no wonder that we are told that God’s Word abides forever (1st Pet 1:25). We have proof of that in the Septuagint. Take a look at this related article: What Are the Dead Sea Scrolls? Resource – Scripture quotations are from The Holy Bible, English Standard Version® (ESV®), Crossway Bibles. (2007). ESV: Study Bible : English standard version. Wheaton, Ill: Crossway Bibles. Used by permission. All rights reserved. Archer, Gleason L. A Survey of the Old Testament: Introduction. Chicago: Moody Publishers. 2007. P. 42. Next post: Was The Mosaic Law Copied From The Code Of Hammurabi?